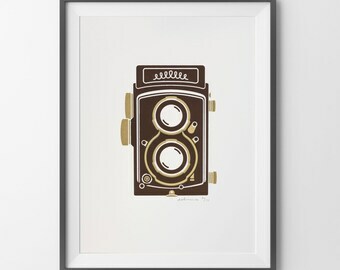 For you or the photography lover / vintage camera enthusiast in your life! I imagined and illustrated this unique wood grain finish camera inspired by the Canonet QL series. 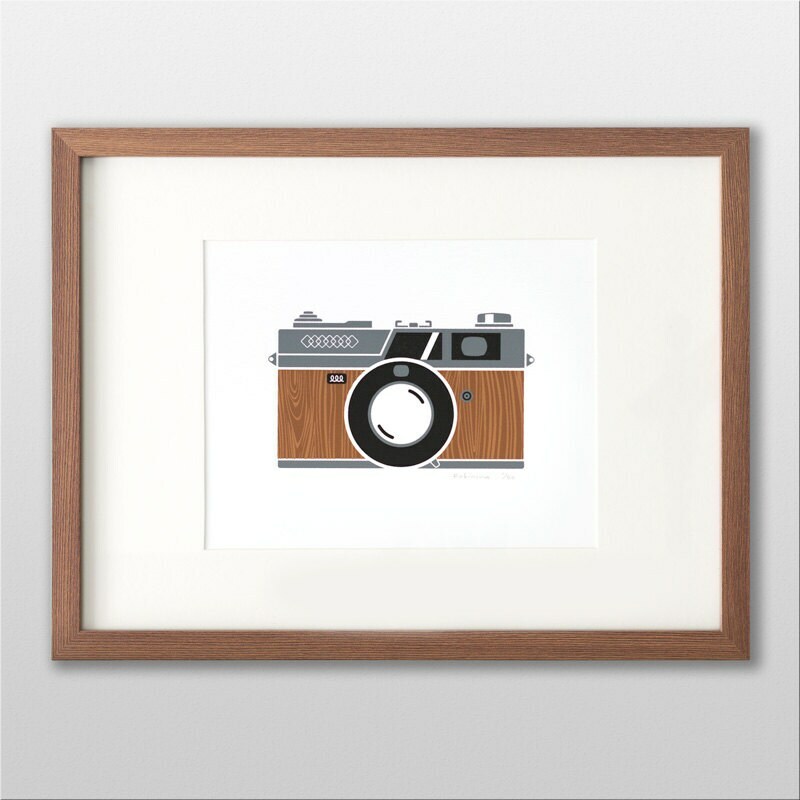 The first camera that I could call my very own was a Canon. It was a gift from my dad when I was in high school after I had become obsessively fascinated with photography. • Frame is for display only-- it is not included in shipment. • Limited edition of 50, each signed and numbered, with love!